Your body tightly controls its blood pH to keep it slightly alkaline (between 7.35 and 7.45 on the pH scale). Our bodies will go to great lengths to ensure that our blood stays in this range. This includes putting serious strains on other parts of the body to do the job. Why? Because when our blood falls out of this range, it means that our bodies are suffering. Just a little higher or a little lower reading from normal can cause serious problems. And if the blood falls to 6.8 or rises above 7.8, we die. Quite simply, our cells cannot live in such an environment and they stop functioning. A lot of us do not eat foods in the proper acid alkaline balance - we are unaware of how important it is. When we are too acidic, the body is forced to steal calcium from bones and magnesium from muscles in order to buffer those acids. If there aren't enough buffering minerals available, the body resorts to storing excess acids in our tissues. 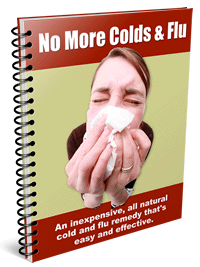 Then our immune system tries to do what it can to neutralize the acids in these tissues. Whatever it can't neutralize gets dumped back into the blood stream. 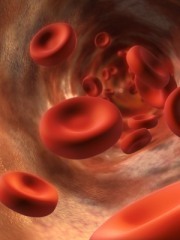 Then the blood stream tries again to neutralize the acids by pulling more mineral reserves out of the body. Whatever it cannot neutralize gets thrown back to the tissues. It's a perilous game of "hot potato." Neither the blood nor the immune system wants the acids – both want to get rid of them any way they can. But what frequently happens is that a critical part of the immune system (the lymphatic system) is already overwhelmed and not functioning properly. Why? Because a lot of us do not get the amount of exercise we need to keep the lymphatic system flushed. When the lymphatic system is clogged, the acids remain in the tissues. Eventually this leads to the condition called low-grade acidosis. Remember - if there aren't enough buffering minerals available, the body resorts to storing excess acids in our tissues. This is why it is wise to test your saliva pH and urine pH. Our bodies are perfectly capable of healing themselves if we simply provide the right raw materials. Even a body heavily burdened with acids can find its way back to body pH balance. If you are looking to shift your blood pH more to the alkaline side, start eating more alkaline forming foods, like raw fruits and vegetables. And be sure to drink plenty of pure water. And make sure that the acid forming foods you eat are healthy ones. Avoid soda, processed foods, artificial sweeteners, refined sugar, and partially hydrogenated and hydrogenated foods (trans fats).